Tomorrow night is the premiere of the next edition of Nebraska Stories. The topic may almost be more suited to Father’s Day as both segments are on special car events in Nebraska. But as a mom of 3 boys (and a girl who will play that with her brothers) and the fact that I am definitely married to a car guy, I am looking forward to watching the event myself. One of the last editions of “Nebraska Stories” featured a quick excerpt about the large Lambrecht Chevrolet Auction that took place last summer. My family was hoping to see more details, so I am glad that they are showing more. Also on this episode is a story about a father-son car restoration project over many decades that won a prestigious award. As my husband has spent many an hour working on cars with his Dad, I know that this story will be a meaningful one to see. 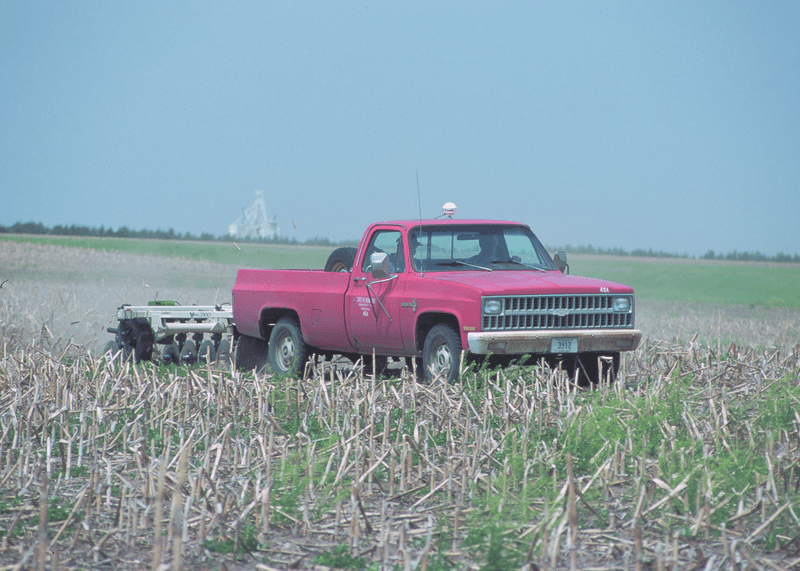 A Chevrolet being put to good use in a Nebraska field! Lambrect Chevrolet Auction: Last year’s Lambrecht Chevrolet Auction in Pierce, Neb., attracted people from all 50 states and 25 countries to bid on 500 vintage cars, including several with less than 20 miles on the odometer. While some came to buy the cars, many wanted simply to be part of a unique experience in automotive history. Detroit Autorama Ridler Award: Then in Bennington, Neb., the fifty-year father-son project of Gordon and Ron Cizek won the Detroit Autorama Ridler Award at the nation’s leading indoor custom car show in 2013. Their 1940 Ford coupe was customized by Andy Leach, an up-and-coming fabricator whose work on the “Checkered Past” was as much about art as it was about muscle.